Why go to US for internship when you can live and work in Canada with your family? - Gateway to Canada | Canada Immigration Consultancy! Why go to US for internship when you can live and work in Canada with your family? If you are one those planning and dreaming to work in the US temporarily (H-2A/H-2B Visas) or via the Internship programs (J1 Visa), you are probably monitoring the news about the US ban on Filipino Workers which was announced recently. The thing is, why go to the US for internship without pathway to permanent residency and be subjected to "slavery", to borrow the term of Philippine Labor Attache in the US, instead of working and living in Canada with your family? Many Hospitality and Tourism Management students from the Philippines are dreaming to have their internship in the US. They usually do it before they graduate and/or immediately after graduation. It used to be easy and you can indeed earn quick. But what happens after their internship? They either stay out of status (TNT) or go back and apply again for the 2nd chance to have an internship. After which, they have to go back again or stay out of status. There is simply no pathway to permanent residency. On the other hand, if you Study in Canada as International Student for at least one year, you will be allowed to work part-time while studying. You can work full time for another year. Some International Students are allowed to work up to 3 years after graduation. One year experience in Canada may lead you to permanent residency! Ms. Lalaine Hernandez is one of those who went to the US for Internship. She want back after her term and was planning to go the US again when we met her. She was having a hard time going back to the US and thus, looked for other options. 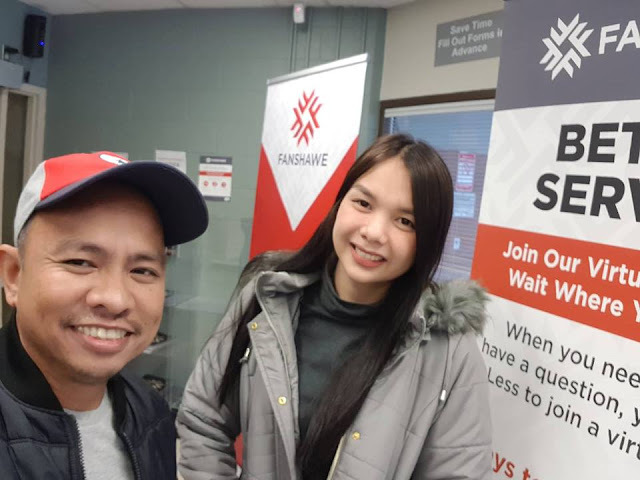 She is now in Canada studying at Fanshawe College as International Student. She is taking up Post Graduate program in Hospitality and Tourism Management. 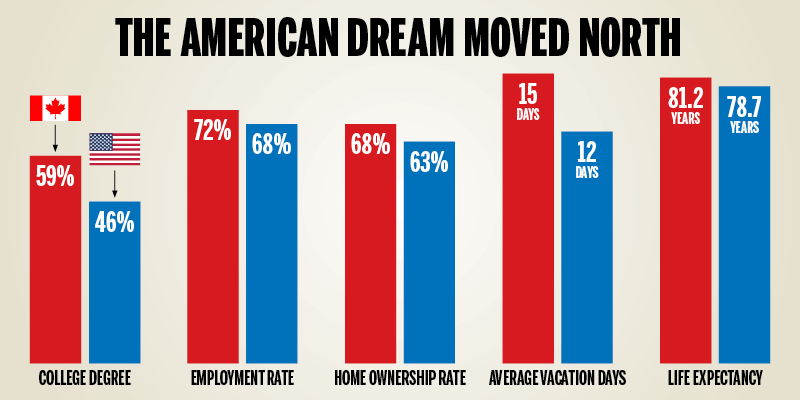 A good choice, considering that the American Dream is now the Canadian Dream, they said.